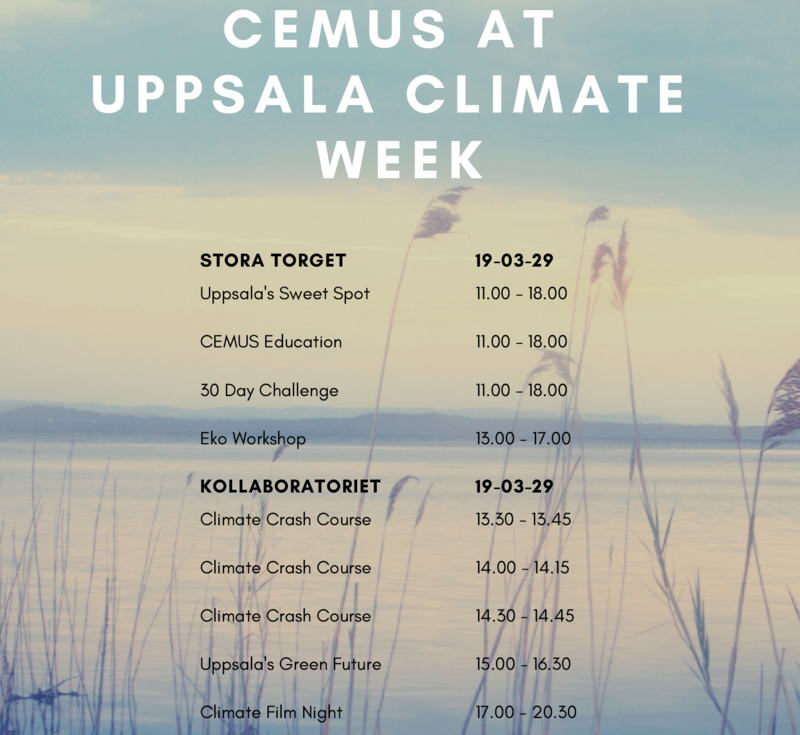 Join us at Uppsala Climate Week, Friday March 29! Students and staff from CEMUS will be hosting workshops and activities at Stora torget and in Kollaboratoriet, from 11.00 to 20.30! Discuss Uppsala’s Sweet Spot, Greening Futures, join an Eko Workshop, crash courses and more! See you there! A fifteen minute crash course for action on climate change. Using systems thinking and creativity, we discuss ways of living that will reduce climate change. Help explore the future of Uppsala with maps and drawing! Discuss how the city should look in the coming decades. What will a climate positive Uppsala look like in 2050? After a busy week of climate activities, come to the Kollaboratoriet to watch a film with other like minded people. Bring and share snacks and make new climate-engaged friends!